PER INCANTO (USA) (Bay or Brown 2004-Stud 2011). 6 wins-2 at 2-at 1200m, 1400m, Rome Premio Tudini, Gr.3. Sire of 133 rnrs, 62 wnrs, inc. SW Dal Cielo (ARC Diamond S., Gr.1), Saracino, Its Time for Magic, Tennessee, Rocanto, SP Sweepstake, Bella Court, Glorious Beijing, Nahema, Shadows Cast, Cantilena, Magnum and of Don Carlo, Amorata, Baba Mama, Cantare, Freddy Lad, Hocus Pocus, Lanciato, Magic of the Sun, Mia Mamma, Awatane, Bigsie, etc. Roc City (f. by My Halo). 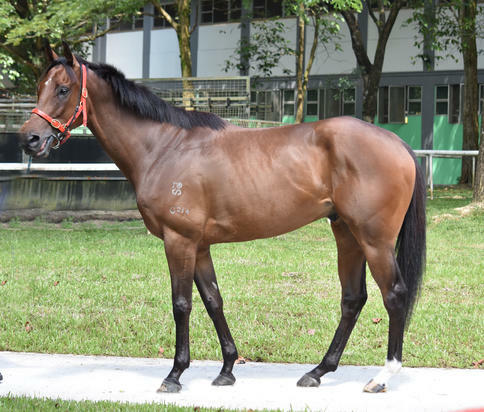 3 wins from 1000m to 1600m to 2015-16, CJC Dress-Smart Hornby H., 2d CJC Henry's Yaldhurst H., 3d CJC Grace Removals H., New Zealand Bloodstock Insurance H.
Bayu (g. by Per Incanto). See below. Midnight Cappa. 2 wins at 1400m, 1600m to 2015-16 in NZ. He's Rockin. Placed at 3 in NZ. Midnight Rock'a. 4 wins. See above. Relish. 2 wins at 1200m, 1800m, CJC Battle of the Stars Interdominion Championship H.
(The) Kings Crown. 8 wins from 1400m to 3100m, 2d CJC Wolf Blass Wine H., 3d CJC Booth Insurance Services H., Angus Meats H.
ROYAL RECEPTION (State of Kings). 4 wins from 1400m to 2200m, CJC South Island Thoroughbred Breeders' S.H., L, The Miller Bar & Cafe H., 2d CJC Great Easter S.H., L, Inter-Island Horse Transport Brabazon H.-twice, Steam Tug Lyttelton H., Kurow Cup, CJC Racecourse Hotel Motor Lodge H., Inglewood Stud H., Otago RC Fulton Hogan H. Producer. READY TO ATTACK (More Than Ready). 3 wins-1 at 2-from 1400m to 1600m, R236,650, to 2015-16, Kenilworth Langerman H., Gr.3, Racing It's a Rush H.
Vision (Entrepreneur). 4 wins from 1400m to 2100m, ARC Dunstan Feeds Qualifier, Lindauer Grandeur H., 3d WRC Thompson H., Gr.3, Desert Gold S., Gr.3, 4th CJC Warstep S., L. Producer. Eye for an Eye (Lord Ballina). 2 wins at 1200m, 1300m, ARC Ellerslie Function & Convention Centre Sprint H., 2d ARC Tourism Victoria H., 3d ARC New Zealand Derby Trial S., L, Beds 'r' Us H., BOP RC Dominion Electrical 3YO H.
Dainty Dish (Palatable). 8 wins-1 at 2-from 1200m to 1600m, CJC Lion Members' H., Flying H., 3d CJC Stewards' S.H., Gr.3, Timaru Cup, Gr.3, CJC Great Easter S.H., L, Timaru RC Show Gate S., L. Producer. Race Record: 2 Starts 0-0-2 S$12,576. Placed in 2016, 3d Singapore TC Flax S., Big Heart S.